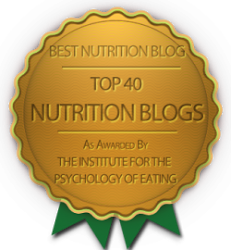 When I read the study, it got me thinking about what is a “junk” food and who defines the parameters of what is and is not considered a “junk” food. As a registered dietitian nutritionist, I am not so sure what a “junk” food is….is it a side of pork belly or a soft drink or cheese puffs? Usually, a junk food describes one that is calorie-rich without providing nutrients. Does a sports drink fit that definition? Some would say yes, and athletes have been endorsing sports drinks for decades. 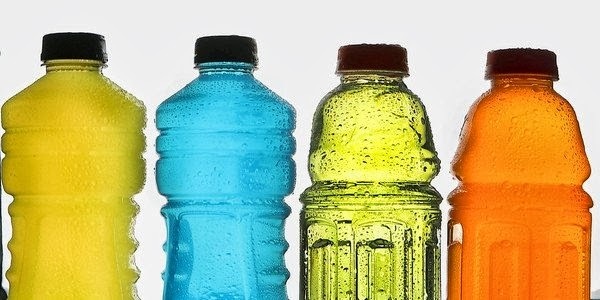 While a sports drink might be a junk food to a sedentary person who never breaks a sweat, to an athlete a sports drink is a proven hydration beverage. The joint position paper of the American Dietetic Association, Dietitians of Canada, and the American College of Sports Medicine states that “beverages containing 6-8% carbohydrate are recommended for exercise events lasting longer than 1 hour.” The Evidence Analysis Library of the Academy of Nutrition and Dietetics goes on to say that ” current research supports the benefit of carbohydrate consumption in amounts typically found in sport drinks (6-8%) to endurance performance in events lasting 1 hour or more.” Anyone who watches Peyton Manning or Serena Williams or LeBron James (all called out in the media reports for endorsing “junk” foods) knows they perform at a high intensity and duration and can benefit from the carbs and electrolytes in sports drinks. So, to a competitive athlete a sports drink is not a “junk” food so why shouldn’t football, basketball or tennis players endorse sports drinks? Quick service restaurants were also on the hook for “junk” food and athletes’ endorsements. McDonald’s is often picked on as a provider of “junk” food but did you know that 80% of McDonald’s menu items are under 400 calories? And, that in 2012 the default in the new happy meal is a side of fruit, a kid’s size fry, and a fat-free milk? McDonald’s has served 530 million packs of apple slices to kids in a one year period from 2012-2013. Of course, there are high calorie and high fat and high sodium items in any restaurant, but we often forget that there are healthy choices in every restaurant if one chooses to look for them. And, of course we mustn’t forget the fry…a real junk food that is making us all fat, right? On average, Americans get about 1.5% of their calories from French fries. Potatoes are an excellent source of potassium, a nutrient identified by the 2010 Dietary Guidelines Advisory Committee as a shortfall nutrient. Only 2-3% of Americans had adequate intakes of this important mineral. And, frying of potatoes does not destroy the potassium as some people believe. A further look at the Pediatrics article showed that famous athletes endorse more sports goods and apparel than foods and beverages. Yet, I didn’t hear anyone complain about sneakers made in less than desirable conditions in developing countries and sold for a tidy profit by U.S. companies. I would like to see the media stop demonizing foods and instead help people enjoy their favorite foods in moderation (another word some people don’t like), but I like it just fine.